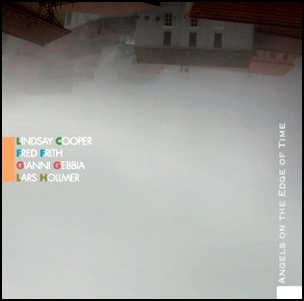 On January 1, 2015, “I Dischi di Angelica” label released “Angels on the Edge of Time”, album by Lindsay Cooper, Fred Frith, Gianni Gebbia and Lars Hollmer. It was recorded on May 30, 1992, at the “AngelicA Festival Internazionale di Musica”, in Bologna, Italy, and was produced by Massimo Simonini. It is the quartet only album. All tracks by Lindsay Cooper, Fred Frith, Gianni Gebbia and Lars Hollmer. Previous PostOn January 1, 1976.Next PostIn January 1957.